VOA News Sep 10, 2018. The Trump administration threatened sanctions Monday if the International Criminal Court in The Hague carries out an investigation into allegations of war crimes by U.S. military and intelligence personnel in Afghanistan. A speech by U.S. National Security Adviser John Bolton at the conservative Federalist Society in Washington took a hard stance against the court. It said the ICC should not have jurisdiction over people from the United States or other nations that never ratified the treaty that created the court. 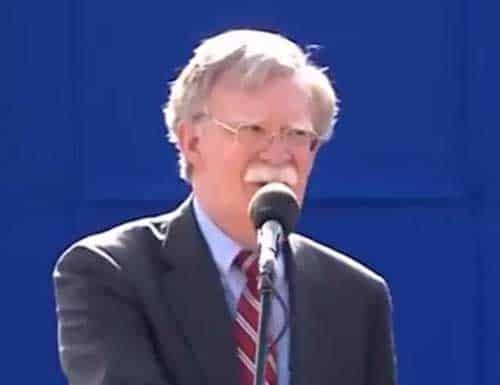 Bolton says the United States will not cooperate with the ICC, and that if it does investigate U.S. actions in Afghanistan then the Trump administration will consider travel bans, asset freezes and possible prosecution in U.S. courts for the judges and prosecutors involved in the probe. Bolton also announced in his speech Monday that the State Department is shutting down a Palestinian Liberation Organization office in Washington in response to Palestinian efforts to have the court prosecute Israeli actions.